Jean-Marie Henckaerts with A/Prof Bruce Oswald. Henckaerts heads the project to update the ICRC Commentaries on the Geneva Conventions of 1949 and their Additional Protocols of 1977. The Geneva Conventions and their Additional Protocols form the basis of international humanitarian law, which regulates the conduct of armed conflict and seeks to limit its effects. In the 1950s, the ICRC published a set of Commentaries on these conventions to guide their implementation, providing an essential tool for lawyers, academics, international aid organisations and members of the armed forces. But developments in law and practice over the past 60 years made it necessary for the initial Commentaries to be updated, to reflect how interpretations of the Conventions have changed in modern times. The updated Commentary for the First Geneva Convention was published online in March this year, and will be available in print from Cambridge University Press in December. Updated Commentaries for Second, Third and Fourth Geneva Conventions will follow in the next few years. The updated Commentary for the First Geneva Convention addresses a range of issues including the beginning and end of armed conflict, and the protection of the wounded and sick, medical facilities and personnel. Henckaerts said he found it surprising how much revision was involved to bring the Commentary for the First Geneva Convention up-to-date. In particular, the commentary for Common Article 3, relating to non-international armed conflict, has expanded from 24 pages to 150 pages in the updated edition. Because most conflicts today are civil wars, and not international in character, Henckaerts said the experience gained from these contemporary conflicts means more detail can now be provided about how international humanitarian law should be applied in non-international armed conflicts. At a time when we are witnessing inordinate civilian suffering, attacks on medical personnel and destruction of cultural property in multiple civil wars, including in Syria and Iraq, Henckaerts said the updated Commentaries will help to promote compliance with international humanitarian law. “This project is part of the ICRC’s work in generating respect for international humanitarian law,” he said. While the updated Commentaries are just “a small piece in a larger puzzle”, Henckaerts said by clarifying how international humanitarian law is interpreted in today’s armed conflicts, this will make it easier to identify violations and war crimes. “A book cannot stop people from torturing. But it does set the boundaries of what is legal and what is not,” he said. 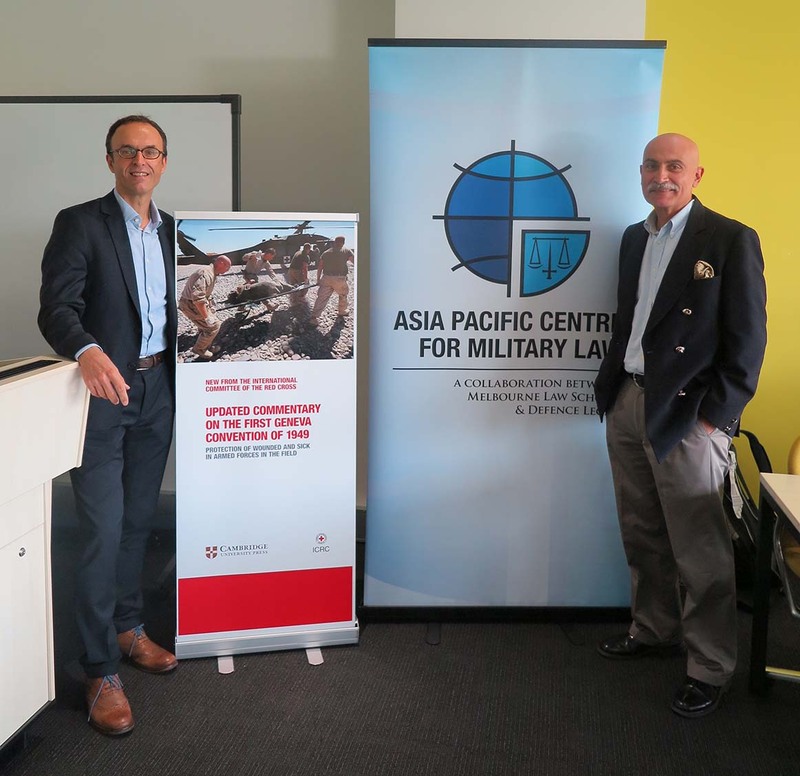 This lecture was hosted by the Asia Pacific Centre for Military Law.